Kennedy pitcher Tom Baroni delivers Monday at Mahopac. MAHOPAC—In a game that featured solid pitching and strong defense, it was the Gaels of Kennedy Catholic who broke through first—scoring a run in the top of the sixth—and then es… Please login below or purchase a subscription to the Putnam County Courier to access this content. Kaileen Creamer picked up the win for Mahopac Monday. MAHOPAC—The John F. Kennedy Catholic High softball team may have been suffering from opening-day jitters, and Mahopac took advantage by jumping all over the Gaels and earning a 12-4 win at t… Please login below or purchase a subscription to the Putnam County Courier to access this content. Ian Anderson CARMEL—The Carmel High baseball team lost some major talent to graduation last spring, but veteran manager Bob Shilling believes he has the depth—and the right pieces—to keep the Rams in the playoff picture. Carmel f… Please login below or purchase a subscription to the Putnam County Courier to access this content. CARMEL—If anyone had any questions about the Carmel High baseball team’s offense, the Rams attempted to answer them during opening week, as the team pounded out 25 runs on 23 hits in picking up wins over Saunders and New Rochelle. Carm… Please login below or purchase a subscription to the Putnam County Courier to access this content. The PUTNAM COUNTY COURIER’s sports section has again been named as among the best in New York State by the New York Press Association at the organization’s recent annual spring convention honoring outstanding newspapers. The COURIER s… Please login below or purchase a subscription to the Putnam County Courier to access this content. MAHOPAC—The Mahopac High boys lacrosse team opened its season with two losses to non-league opponents. 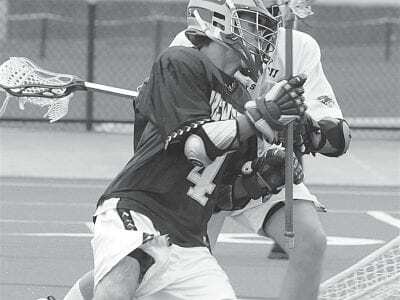 Saturday’s 14-13 loss to East Islip followed Wednesday’s season-opening, 7-3 loss against Washington’s Mercer Island. Af… Please login below or purchase a subscription to the Putnam County Courier to access this content. SOMERS—Two years ago the John F. Kennedy softball team lost in the section finals to Albertus Magnus, and last year they were knocked off one game before the section finals. This year the Gaels will still be playing with a chip on their shou… Please login below or purchase a subscription to the Putnam County Courier to access this content. 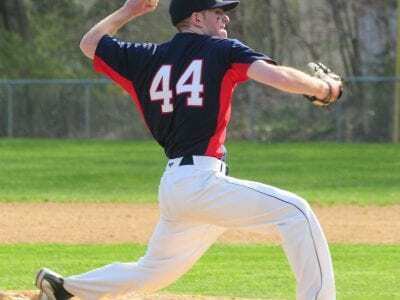 BREWSTER—Chris Byrnes went the distance and picked up a win for the Brewster High baseball team Monday, as the Bears rocked Poughkeepsie, 15- 3, in a non-league game played on the Pioneers’ home field. Byrnes struck out six and walked … Please login below or purchase a subscription to the Putnam County Courier to access this content. Paul Dingee BREWSTER—With four new players on the defensive end of the field, the Brewster High boys lacrosse team will be looking to get on-the-job experience, while relying heavily on midfield and attack players. The Bears went 7-11 last se… Please login below or purchase a subscription to the Putnam County Courier to access this content.